Discover our wristband USB custom, original and fun ! Bring your USB flash drive everywhere with its super resistant wristband in silicone. 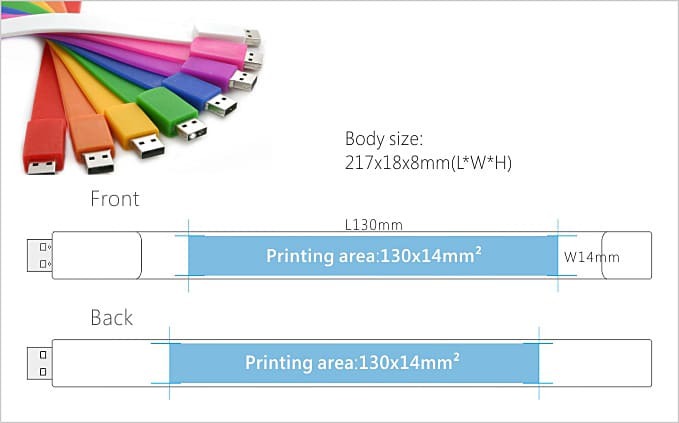 We can print your logo on the whole surface of the wrisband which is perfect for long text like address or email address. Due to its original shape, the custom wristband USB, is very trend for young people.